South West Water has successfully completed a £26 million project to improve water quality in the Plymouth Sound and maintain excellent bathing water quality for the city’s two beaches. The water company has made significant upgrades to its wastewater infrastructure across Plymouth to further improve water quality in the Plymouth Sound and protect bathing water quality at Plymouth Hoe East and West beaches, both of which have been rated excellent every year since tougher new standards were introduced in 2015. The £26 million investment included improving key stormwater overflows across the city, removing surface water from the sewerage network in Cattedown and increasing stormwater storage capacity in Stonehouse. Ultraviolet disinfection technology has also been installed on the stormwater overflow at Plymouth Central Wastewater Treatment Works. This is the largest UV treatment plant of its type for intermittent stormwater overflow discharges in the UK. “We utilised a hydrodynamic model for the Plymouth Sound and the estuarine river networks which influence bathing water quality at East and West Hoe, to help us identify where improvements would have the greatest impact. The utility is advising customers to check that their property is correctly connected to the foul drainage system. Investigations by the Environment Agency and South West Water have identified that homes with plumbing that is incorrectly connected into the surface water system are a source of pollution to some of the bathing waters in the South West. Gloucestershire County Council has allocated an extra £3.869 million to spend on highways work. The news will be welcomed by motorists and cyclists who are having to negotiate some shocking conditions on county roads. The county council says the money is part of its £150 million investment into highways. Of the extra funding, £0.563 million has come from a Department of Transport (DfT) grant and £1.706 million is from external contributions. £1.09 million is from last year’s revenue contribution, £0.5 million from 18/19 revenue contribution has been included and £10k from Section 106 developer contributions. Full council approved the estimated £34.336 million capital highways budget in February 2018. Next week, cabinet is being asked to approve a breakdown of this funding and how it’s allocated to specific budget pots and individual schemes. Vernon Smith, Gloucestershire County Council Cabinet member for roads and flood said, “I’m sure residents will join me in welcoming this additional money to help improve our roads and invest into our highway schemes. “As a council, we’re doubling our investment into resurfacing this summer and have committed £150 million into the county’s roads over five years. Severn Trent’s new Thermal Hydrolysis Plant (THP) is starting to become operational, with 100 tonnes of sludge being processed on a daily basis. The £60 million scheme changes the way the company treats waste before generating green power and will make the process considerably more efficient, meaning the amount of clean energy generated will increase by almost a third. More than half of the plant is now up and running, and the company, which serves eight million people across the Midlands and mid-Wales, hopes to see it fully operational by the end of the summer. The Minworth site already generates enough clean electricity to power the equivalent of 11,000 homes and enough gas to heat 4,800 homes every year – set to increase with THP coming online. “It’s really exciting to see this cutting edge technology starting to become operational. The process works by treating sewage sludge using heat and pressure– the sludge is heated to 170°C before putting under pressure. The combination of heat and pressure sterilises and shatters the cell structure of the bacteria in the sludge. The treated sludge is then fed into huge digesters which biodegrade the volatile solid matter within the sludge and produce methane rich bio-gas. Once that part of the process is complete, the sludge is then passed forward to the dewatering process where it is thickened, ready to be recycled as fertiliser for agricultural land. The thermal hydrolysis process has an additional benefit as the leftover solids can be classified as ‘enhanced’ status fertiliser and could potentially be used in the production of crops for human consumption. Minworth is Severn Trent’s biggest sewage works and treats waste water from more than 1.6 million homes and businesses across Birmingham and the Black Country. The technology already generates both power for use in the works and gas for injection into the national grid. The bio-gas created through the process will both be used to generate electricity and to be treated at the utility’s gas to grid plant on site to make it suitable for domestic use before being injected into the grid. Severn Trent said it has been able to reduce costs by generating renewable energy which is helping to keep customer bills down – the company currently has the lowest combined average bill in the country. Eurovia Contracting has been awarded a £5m design and build scheme which will reduce congestion on one of Colchester’s busiest through roads. The double roundabouts at the junctions to Ipswich Road and Harwich Road will both be combined into single roundabouts, which it is hoped will ease the build-up of traffic. Improvements will also be made to the surrounding local road network, along with the installation of a new retaining wall alongside the adjacent railway line which is on the main Norwich to London route. Eurovia Contracting was awarded the contract by Essex County Council through the Eastern Highways Framework (EHF2) and is expected to take 18 months to complete. Eurovia’s bid was given a score of 96%, which was awarded based on 40% quality and 60% price. Neil Huntington, Eurovia Infrastructure Regional Director, said: “This scheme will ease the pressure on what is a heavily congested route for vehicles, pedestrians and cyclists. “It will undoubtedly be a challenging scheme that will require a number of utility diversions during the works, while incorporating the needs of stakeholders including local businesses and Network Rail. Utility diversions are due to start next month and the scheme is due for completion by the end of 2019. The Government has launched a wide-ranging review into the nation’s National Parks and Areas of Outstanding Natural Beauty (AONBs), including the case for extending or creating new designated areas. Under the review, led by writer Julian Glover, an independent panel will consider whether there is scope for the current network of 34 AONBs and 10 National Parks to expand. Environment Secretary Michael Gove has committed to conserve and enhance England’s most cherished landscapes, which attract more than 260 million visitors a year from at home and abroad. Covering a quarter of England’s land and home to over 2.3 million people – with more than 66% of the population living within half an hour of a National Park or AONB – they also generate over £20 billion for the rural economy, and support 75,000 jobs. The Government has emphasised that the review will not do: propose reductions in either the geographic extent or the protections given to England’s designated landscapes. Sir Arthur Hobhouse’s landmark report in 1947 paved the way for the creation of England’s network of designated landscapes, with the National Parks and Access to the Countryside Act passed in 1949. Landscapes in Wales and Scotland are under devolved administrations and therefore do not fall under the scope of this review. WJ Group has taken delivery of the UK’s first 18-tonne Volvo FL with factory-fitted crew cab, after positive experience with a 16-tonne version. Supplied by dealer Crossroads Truck and Bus, the operator’s latest addition is a 5,600mm wheelbase 4×2 rigid. It has a D8K engine producing 276bhp coupled to a six-speed manual transmission system. As well as a rear engine-mounted live drive PTO, an extra front-mounted engine pulley provides drive for some of the bodywork accessories. The new arrival also features a 7.1-tonne front axle, large capacity alternator and cab air conditioning, and the body has been designed and built in-house by WJ Engineering Division. “The new Volvo truck is an excellent addition to our fleet and our crew are pleased with both its performance and capabilities,” says Mark Fawcett, Managing Director WJ Elland. The vehicle has the capacity to carry 6 passengers plus driver and the cab has new ergonomic design which gives all operatives more comfort when on long journeys and extended work programmes. “The new 280bhp Volvo Euro6 engine 18 Tonne FL, provides environmental benefits too with gains of 2.6% in fuel economy as well as lowering NOx emissions by almost 80% and reducing particulates by 50% from our original 16 tonne euro 5 vehicle of the same design and use”. The World Health Organization is to launch a review into the potential risks of plastic in drinking water. It will assess the latest research into the spread and impact of so-called microplastics – particles that are small enough to be ingested. It comes after journalism organisation Orb Media found plastic particles in many major brands of bottled water. There is no evidence that microplastics can undermine human health but the WHO wants to assess the state of knowledge. 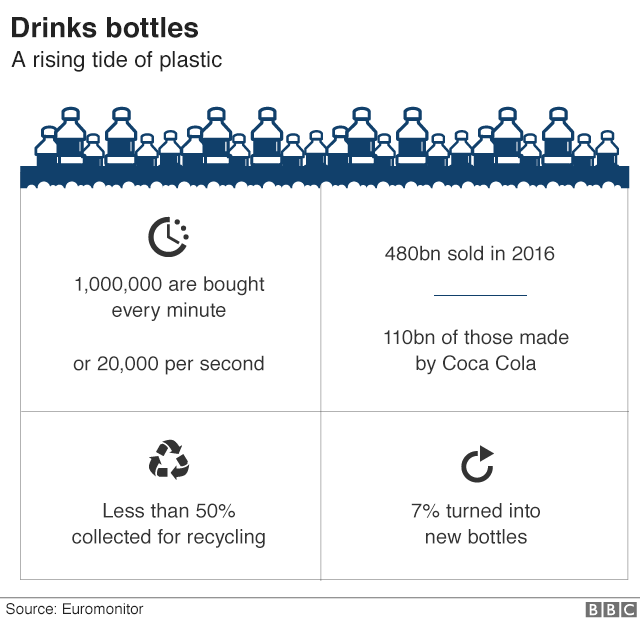 Bruce Gordon, coordinator of the WHO’s global work on water and sanitation, told BBC News that the key question was whether a lifetime of eating or drinking particles of plastic could have an effect. “When we think about the composition of the plastic, whether there might be toxins in it, to what extent they might carry harmful constituents, what actually the particles might do in the body – there’s just not the research there to tell us. Mr Gordon said that he did not want to alarm anyone, and also emphasised that a far greater waterborne threat comes in countries where supplies can be contaminated with sewage. But he said he recognised that people hearing about the presence of microplastics in their drinking water would turn to the WHO for advice. The WHO initiative is partly in response to a study that screened more than 250 bottles of water from 11 different brands bought in nine countries – the largest investigation of its kind. 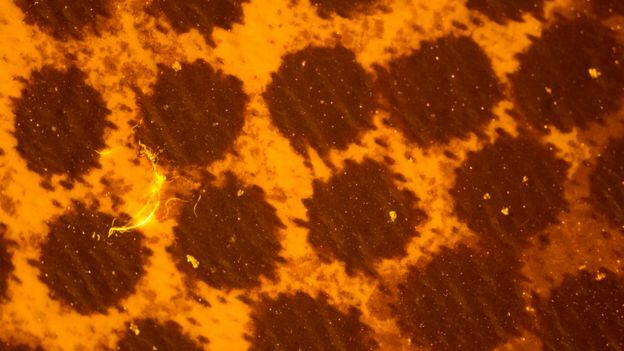 The tests were carried out at the State University of New York in Fredonia as part of a project involving original research and reporting by the US-based journalism organisation Orb Media. Using a dye called Nile Red, which binds to free floating pieces of plastic, the university’s Prof Sherri Mason found an average of 10 plastic particles per litre of water, each larger than the size of a human hair. Smaller particles assumed to be plastic but not positively identified were found as well – an average of 314 per litre. Of all the bottles tested, 17 were found to have no particles at all while many had counts ranging into the hundreds or even thousands, with big differences within brands and even the same pack of bottles. We contacted the companies behind the brands and most responded, standing by the quality and safety of their products. A few questioned why the study’s results were so much higher than their own internal research or pointed out that there are no regulations on microplastics or agreed methods for testing for them. The study comes on top of earlier investigations that have found microplastics in tap water, beer, sea salt and fish, and Prof Mason told me that researchers need to be able to answer the pressing question of whether microplastics can be harmful. “What we do know is that some of these particles are big enough that, once ingested, they are probably excreted but along the way they can release chemicals that cause known human health impacts. 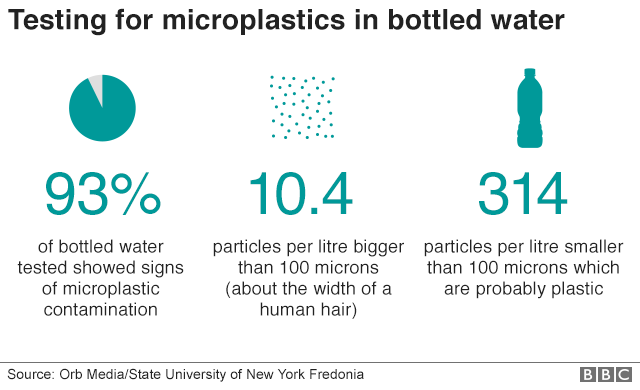 The UK’s Food Standards Agency said it was unlikely that the levels of microplastic reported in the bottles of water could cause harm but it added that, “it would assess any emerging information concerning microplastics in food and drink”. For Dr Stephanie Wright of the King’s College Centre for Environment and Health, the priority is to understand how much microplastic we are exposed to, and exactly what happens to it inside us. Researchers have established that tiny particles of titanium dioxide can pass through the lining of the gut so the same might be possible with plastic, raising the question of where it would then end up. Dr Wright told me: “The particles could stay within an immune cell in the gut lining, or be passed into our lymphatic system ending up in the lymph nodes, or there is a small potential for them to enter the blood stream and possibly accumulate in the liver. “These are foreign hard particles which our body will obviously want to get rid of but it can’t because plastic is not degradable so that will cause harm to the local tissue. I suggested to Michael Walker, a consultant to the Office of the UK Government Chemist and founder board member of the Food Standards Agency, that the jury was out on whether microplastics could cause harm. Highways England and emergency service partners are promoting a number of road safety messages ahead of the May Bank Holiday and Whitsun Week getaway. In partnership, Highways England, Avon & Somerset Police, Avon Fire & Rescue and South Western Ambulance service work closely together on a routine and day-to-day basis to maintain safety and keep the strategic road network, including the M4, M5, M48, M32, M49 and major A roads, running smoothly. During holiday periods, traffic volumes rise on the South West’s roads and can lead to an increase in incidents, particularly along the major M4 and M5 routes. And ahead of the May Bank Holiday, Highways England and the emergency services have updated their motorway closure protocol to ensure the most efficient and expedient handling of major motorway closures. Our roads in the South West provide vital links for businesses, commuters, local communities and holiday makers and our motorways and we are aware that motorway incidents can have a really negative impact on the region as a whole. As a result we have recently refreshed and revised our closure protocol to ensure we can manage incidents more efficiently, mobilise resources and equipment quicker in the event of any major incidents and ensure any closures are minimised as much as possible. The protocol is one of many examples of how we work together as ‘one team’ it plays an important part in managing and clearing the carriageways after major incidents, and our traffic officers also work closely with emergency services across the region, including day-to-day and major incidents, as well as during severe weather. As part of this multi-agency approach we are also running a trial to extend our traffic officer patrols along the A30 in Cornwall, to assist our emergency services partners in the south of the region. Our message is that we are fully prepared and during the upcoming holiday months, we also advise that drivers prepare themselves for any longer or unfamiliar journeys. Motorway driving is an efficient means of direct travel to your destination, but if you’re stuck in the aftermath of a collision it can become frustrating. With more and more vehicles taking to our roads, I believe education is crucial to ensuring the roads remain safe for all who use them. In the event of a motorway collision, it’s not always understood why the road is closed for a length of time or who is responsible for re-opening the road. That’s why I am committed to working closely with partners to help road users understand the multi-agency response following a collision, with the aim of reducing the number of casualties on our roads. We understand the frustration that drivers will feel when they’re stuck on a road following a full carriageway closure and we appreciate drivers’ patience, and understanding. The newly updated protocol highlights just one of the ways we are working in partnership with Highways England and other agencies to get roads reopened as soon as possible following an incident on the road. We also want everyone to get to their destinations safely, so please follow all safety tips and reduce your chances of getting caught up in an incident this summer. Both Highways England and Avon & Somerset Police advise drivers to be prepared, plan their journeys, allow extra time and take regular breaks. Check water: To ensure you have good visibility, always keep your screen wash topped up so you can clear debris or dirt off your windscreen. Check lights: If your indicators, hazard lights, headlights, fog lights, reverse lights or brake lights are not functioning properly, you are putting yourself and your family at risk. In addition, light malfunctions can be a reason for your vehicle to fail its MoT. Check fuel: Before setting out, check your fuel levels and make sure you have enough to get to your destination. Travel as light as possible: do not exceed the recommended carrying capacity of your vehicle and ensure that luggage doesn’t restrict visibility. For more detailed information on how to carry out your vehicle checks, visit the Think! website. To help motorists this Bank Holiday weekend, Highways England is also removing some 237 miles of roadworks by 6am on Friday 25 May meaning more than 98 per cent of the motorway and A-road network managed by Highways England, will be roadworks-free. Since Easter, Highways England has also resurfaced around 58 miles of its network in the South West, providing smoother holiday journeys for all drivers. Any ongoing roadworks will not be put back in place until a minute past midnight on Tuesday, 29 May. Severn Trent is planning to invest an extra £100 million to improve its water business performance in preparation for AMP7, according the preliminary announcement of its annual results published this morning. The utility is reinvesting an additional £100 million from forecast AMP6 totex efficiencies which have increased from £770 million to £870 million. The investment is in addition to the £120 million previously announced. Taking account the water company’s £220 million total reinvestment plans, net totex outperformance versus the AMP6 Final Determination is expected to be £240 million, half of which will be shared with customers through lower bills in AMP7. A strong set of group financial results saw group turnover rise to £1,694 million, an increase of £56 million (3.4%) and group underlying profit (before interest and tax) of £541 million, up £21 million (4.0%). A proposed final dividend of 51.92 pence will take the 2017/18 dividend to 86.55 pence in total. In its first full year in the group, Dee Valley Water contributed £27.9 million to turnover and £5.9 million to underlying PBIT in the year. Severn Trent said that while the efficiency and performance of its waste business is widely recognised, its water business is less strong. Following a small number of major bursts in its region and the impact of the harsh conditions in March 2018, Severn Trent missed its challenging leakage performance target for the year. The investments will include increased monitoring and logging of the network to help identify current issues, the targeting of underperforming assets to improve non-infrastructure asset health and investment in advanced analytics, helping predict and prevent future failures. The company is using detector robots for use in its water network based on technology first developed in North America. The innovative solution uses small touch sensors to spot the nature and exact location of leaks, rather than current visual and acoustic techniques. The company said that customer focus, significant investment and operational delivery were driving its strong performance – sewer flooding is down 34%, water quality complaints down 12% and serious pollution incidents down 71%. Severn Trent ‘s customers also pay the lowest combined bills in Britain: less than £1 per day at £348. The company has a second food waste anaerobic digestion site near Stourbridge in the West Midlands to generate gas which is directly injected into the national grid. Construction of a third food waste site in Derby is well advanced, as are two additional thermal hydrolysis plants in its burgeoning Bioresources business. Severn Trent said it had made “excellent progress” in establishing the separate Bioresources business unit, which is ready to drive value in the new market. 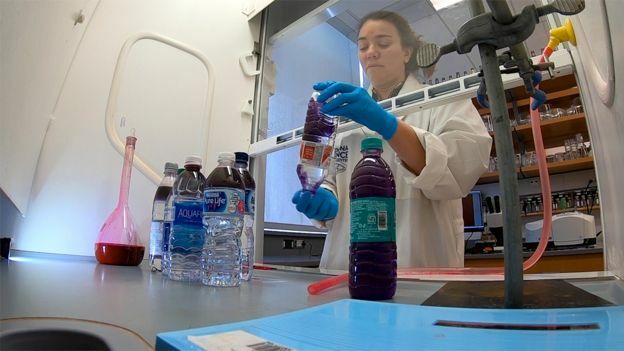 The utility has taken early action to streamline logistics and optimise its treatment strategy to focus on advanced treatment techniques. Severn Trent has created six regional treatment hubs, which are ready to trade with other companies. The process identified several less efficient sites for closure, which has resulted in £21 million of exceptional charges in 2017/18. “I’m pleased that keeping customers at the heart of our business and investing for the long term has continued to drive positive results. We’ve had another very strong year on customer ODIs, which we know are the metrics our customers care about most. This, allied with a strong set of financial results, and a backdrop of the lowest average combined bill in the land demonstrates our ability to deliver for our stakeholders in a balanced and sustainable way. “We anticipate receiving the top 4* rating from the Environment Agency for the second time in three years, which acknowledges the hard work and importance we place on protecting the environment. We are proud of the overall service we deliver for our customers but we know there are areas to improve. Our customers rightly expect excellence every day and that’s what we will continue striving to achieve. Smart traffic lights that will always turn green are to be trialled on Britain’s roads, it has been announced by Highways England. The new lights, which are designed to put an end to stop-go driving, will advise motorists of the speed they should drive at in order to arrive at the next set of lights when they turn green. The concept is one of five shortlisted entries into a competition hosted by the National Roads Commission (NIC), Highways England and Innovate UK to create roads for driverless cars. Discussing the goal of driverless vehicles, Sir John Armitt, NIC chairman, said: “We can see for ourselves the progress in developing cars for the future, with trials of driverless cars taking place across the country. The scheme has been designed by engineering firm AECOM in a bid to cut congestion and reduce vehicle emissions through more efficient driving. The scheme is now set to be tested using a simulation model of the A59 in York. “We are excited and are eager to get started so we can better understand the potential impact of vehicle-to-infrastructure technologies on our local road network in York,” Heather Hawkins, AECOM principal consultant, said. Rod Dennis, RAC spokesman, added that it was “great to see novel technology like this being trialled”. He added that a reduction in start-stop traffic would be beneficial for drivers as it causes less wear in the brakes, as well as decreasing emissions. In May last year it was announced that Milton Keynes would become the first city to install similar “smart” traffic lights that would be able to detect where there is a heavy concentration of vehicles and alter their pattern to ease congestion. The city, with the backing of Innovate UK and Tracsis, is investing £3 million in the technology that should start working by September this year. The scheme, developed by Vivacity Labs, would help traffic lights prioritise ambulances, buses and cyclists and ease the flow of traffic to prevent bottlenecks by being able to react to the volume of vehicles passing through the lights.